Simon Smith does not work for, consult, own shares in or receive funding from any company or organization that would benefit from this article, and has disclosed no relevant affiliations beyond their academic appointment. Most people assume if you’re unlucky enough to be bitten by a crocodile, then a severed limb or other severe trauma is all you have to worry about. But new research is emerging about serious infections you can catch from a bite that might kill you instead. Our study, published earlier this week, showed the range of bacteria crocodiles can transfer to their human victims. The good news is they can be cured with a much simpler antibiotic treatment than we realised. Since crocodiles were granted protected species status in the 1970s in Australia, they have attacked more than 100 humans. For those lucky to survive, their injuries often become infected. Bacteria can enter the body via the deep cuts from a crocodile’s teeth or from wounds occurring when people try to escape. Bacteria living in crocodiles’ mouths can come from the intestines of other animals they eat or from the water in which they live. When people are trying to escape a crocodile attack, bacteria living in the soil and mud also pose a risk. And bacteria commonly living on our skin without causing problems can cause infection when the skin’s protective barrier is lost. If untreated, bacteria can cause severe wound infections. Without treating these infections properly, the victim’s tissues die and their arms and legs may need to be amputated. Infection can also enter the bloodstream and spread to the rest of the body causing multiple organ failure and death. How do we treat croc bite infections? Australian guidelines recommend how to treat infections after bites from animals in general. But until recently we didn’t know much about which antibiotic is best for people who have been attacked by a crocodile. Some 25 years ago, a study in the Northern Territory found over half of people who had been attacked by a crocodile had infected wounds. Researchers found a wide variety of bacteria you would expect to find in the water, the soil, the intestines of animals and on the skin of humans. To kill all of these potential infection causing bacteria, they recommended a complex treatment of four different antibiotics which would mean up to 14 injections a day. With so many antibiotics, this increases the risk of potential side effects and the cost of patient care. So, we reviewed all cases of people who had been treated for a crocodile attack in Far North Queensland and attended the Cairns Hospital over a 25-year period. A total of 15 people needed medical attention after a crocodile attack over this time, including several crocodile handlers. Four people were clearly infected by the time they reached hospital. A further two had bacteria in their wounds and almost all needed surgery. Surgery is essential to prevent new or worsening infection after any bite as surgeons can remove already-infected tissue and help flush out any bacteria hiding in the wounds. Despite finding lots of different bacteria, we discovered antibiotics given orally (amoxycillin-clavulanate) in mild infections or intravenously (piperacillin-tazobactam) for severe infections would be suitable to kill almost all of the bacteria found after a crocodile attack. Although all of these patients were treated at Cairns Hospital, the results of the study will likely influence national guidelines for the management of crocodile attacks. The results may even help doctors in other countries. Although we did not find it in our study, another important thing to remember is tetanus – an infection that can be contracted through dirty wounds – may also develop after a crocodile attack and this can be prevented by vaccination. 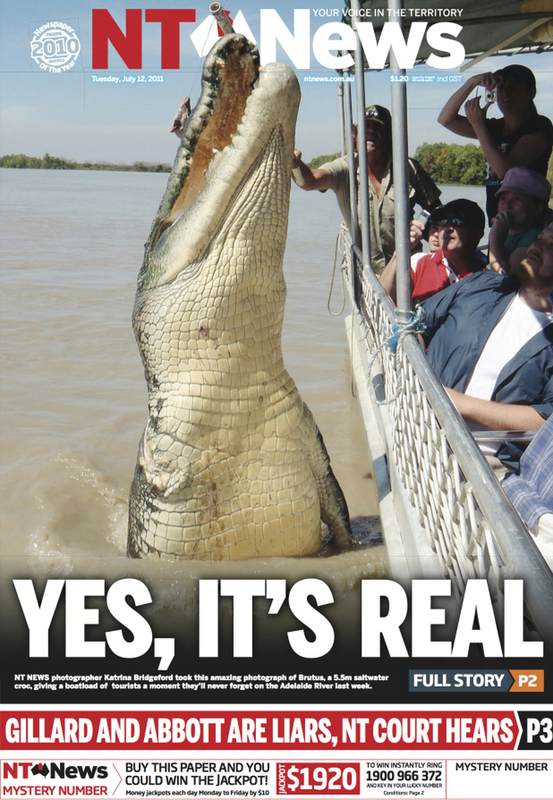 When it comes to crocodile attacks, like most things in health, prevention is better than cure. People should take care when visiting areas where crocodiles live. If people are attacked and lucky enough to survive, they are likely to require surgery and have a high chance of developing an infection. Don’t be taken in by his welcome grin.